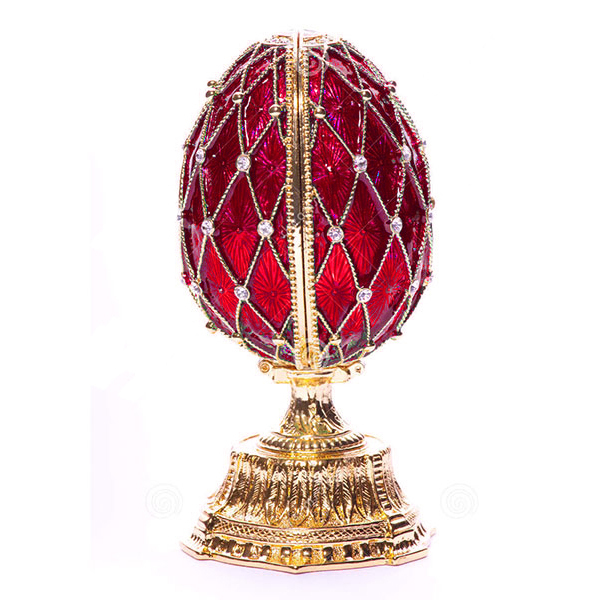 Red Egg is decorated with tiny crystals and is made in the form of a box with a clock inside. It is a present that will definitely leave a lasting impression. 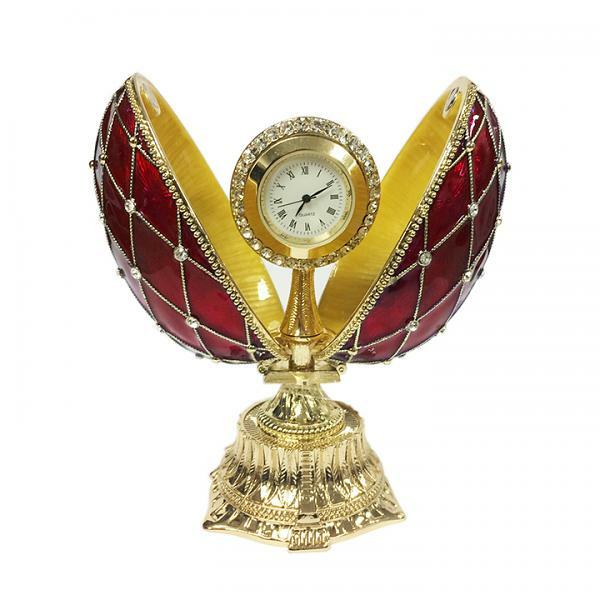 Red enamel, golden ornament, tiny crystals and a sophisticated little clock create a unique, exquisite look.